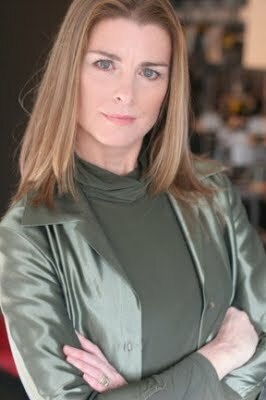 Former "One Life To Live" actress Fiona Hutchison (ex-Gabrielle) has just landed a role on the hit web series "The Bay." There aren't many details surrounding her role just yet, other than expect her character to be connected to many of the current cast. Look for Fiona to appear the first week of May. 2017 - Daytime Emmy® Award Winner - "Outstanding Digital Drama Series"
2017 - Winner ISA8 - "Best Web Series - Drama"
2017 - Winner ISA8 - "Best Ensemble - Drama"
2016 - Daytime Emmy® Winner - "Outstanding Digital Drama Series"
2016 - Daytime Emmy® Winner - Mary Beth Evans (Sara Garrett) for “Outstanding Actress in a Digital Daytime Drama Series,"
2016 - Daytime Emmy® Winner - Kristos Andrews (Pete Garrett) for “Outstanding Actor in a Digital Daytime Drama Series." 2015 Daytime Emmy® Award Winner for "Outstanding New Approaches Drama Series"
2012 Daytime Emmy® Award nominee for "Outstanding Special Class Short Format"
ABC SOAPS IN DEPTH: Gaskill's Got A New Gig! ABC SOAPS IN DEPTH: Hutchison Joins THE BAY! CBS SOAPS IN DEPTH: Hutchison Joins THE BAY! CBS SOAPS IN DEPTH: Gaskill's Got A New Gig! SOAP OPERA DIGEST: Another Soap Vet To THE BAY!